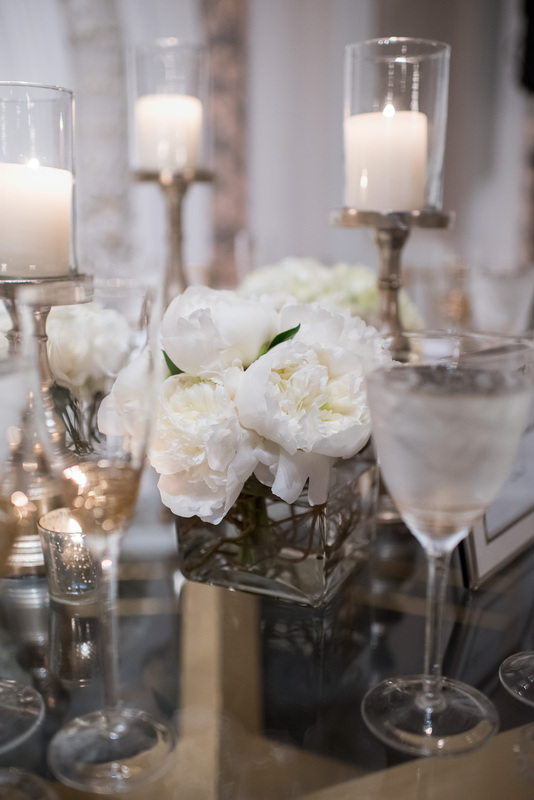 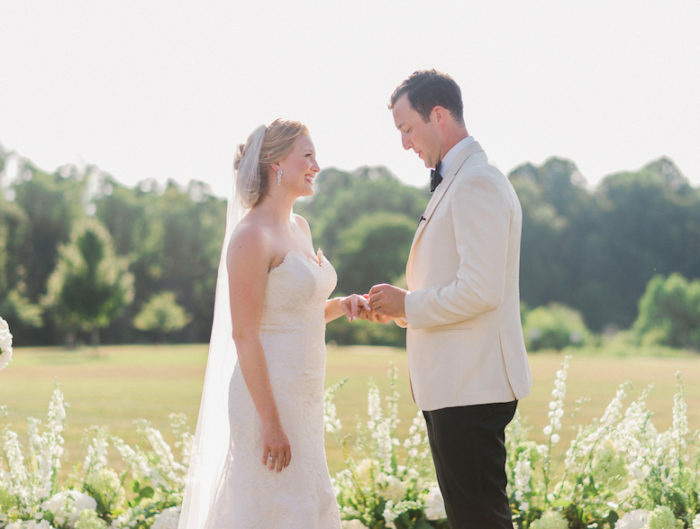 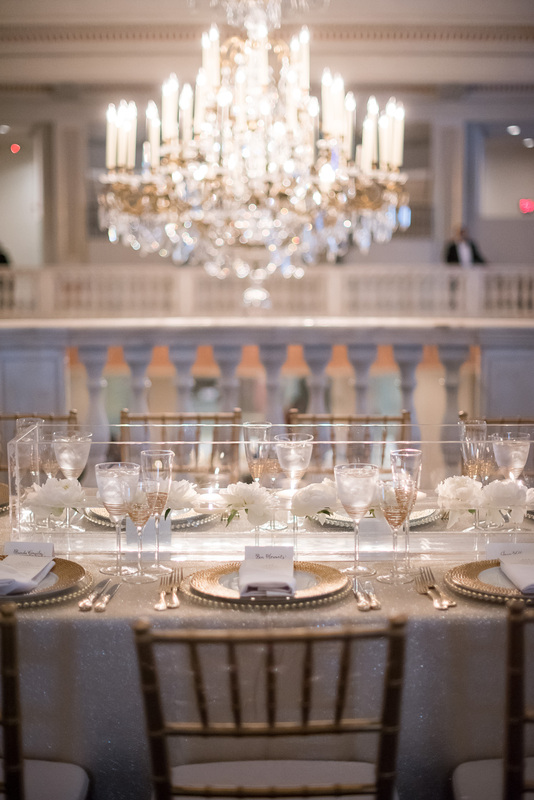 Welcome to another week of gorgeous DC wedding inspiration, kicking right off with a stunning all white glam celebration by Amanda McCabe of Engaging Affairs. 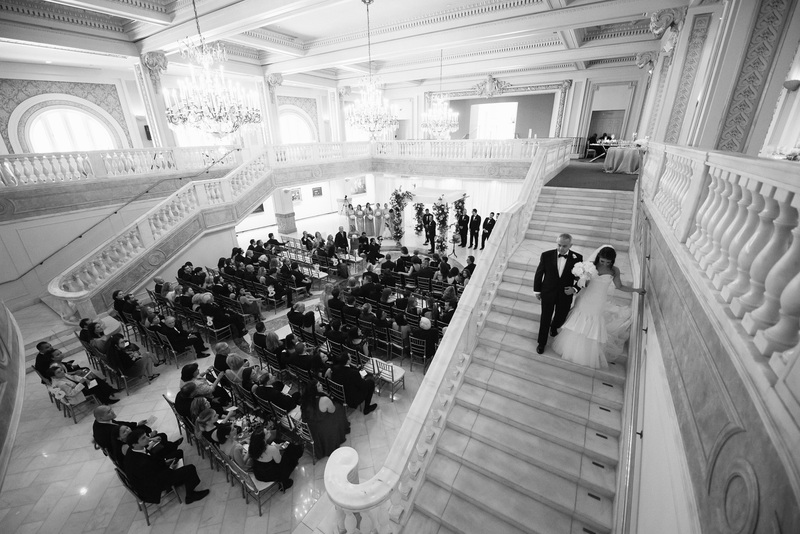 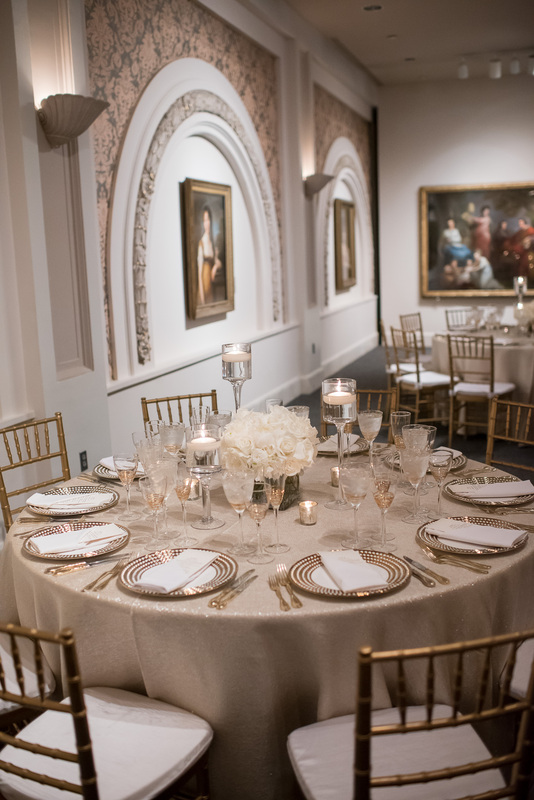 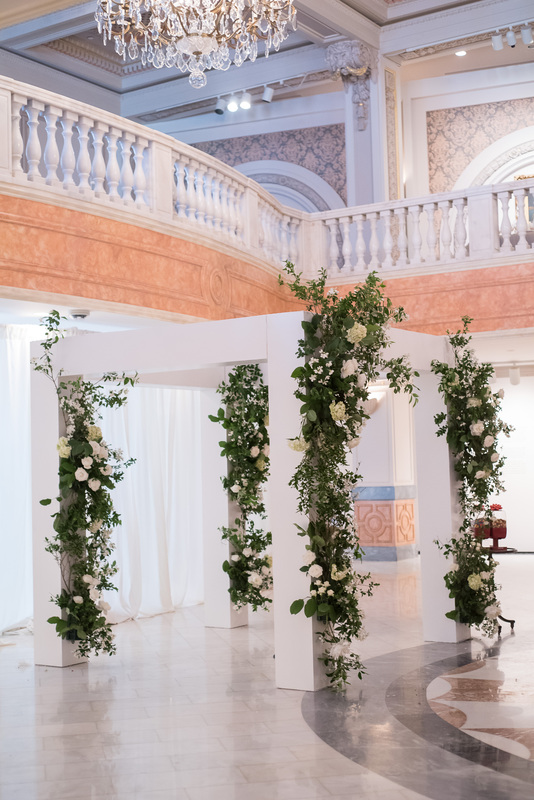 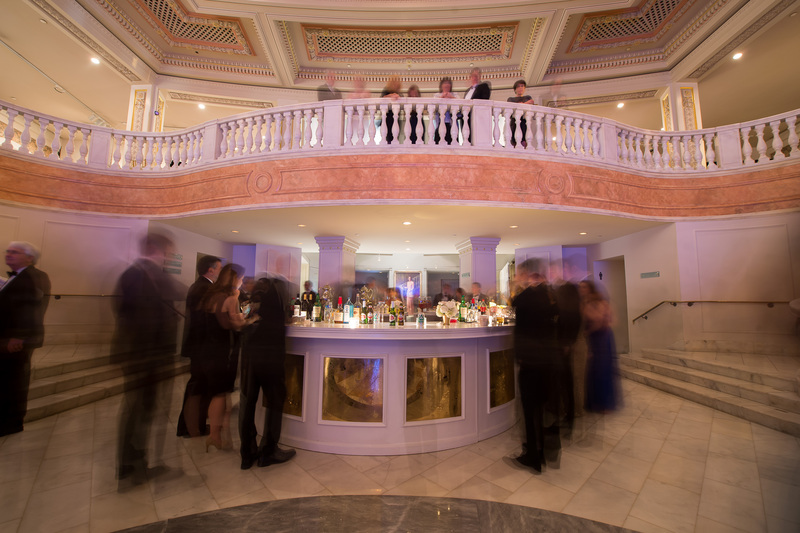 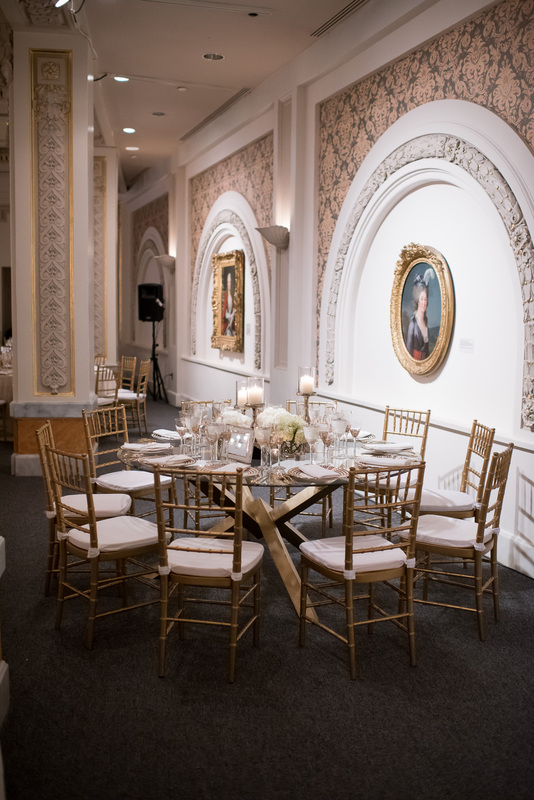 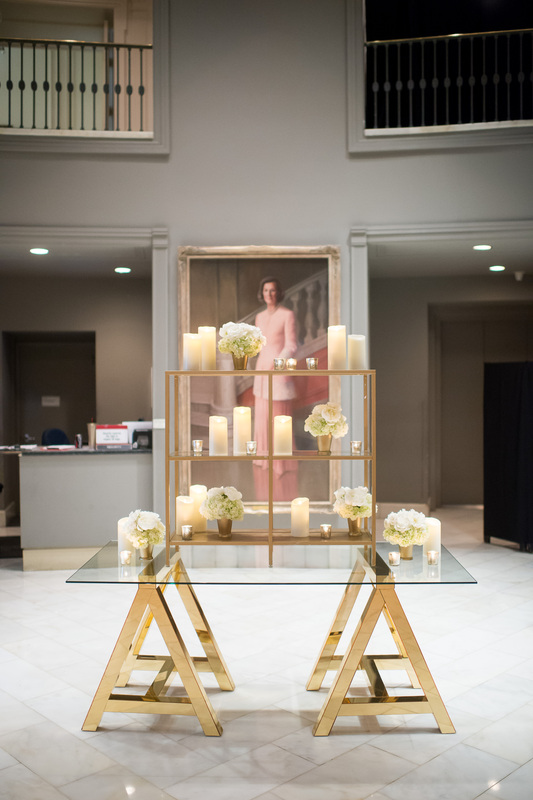 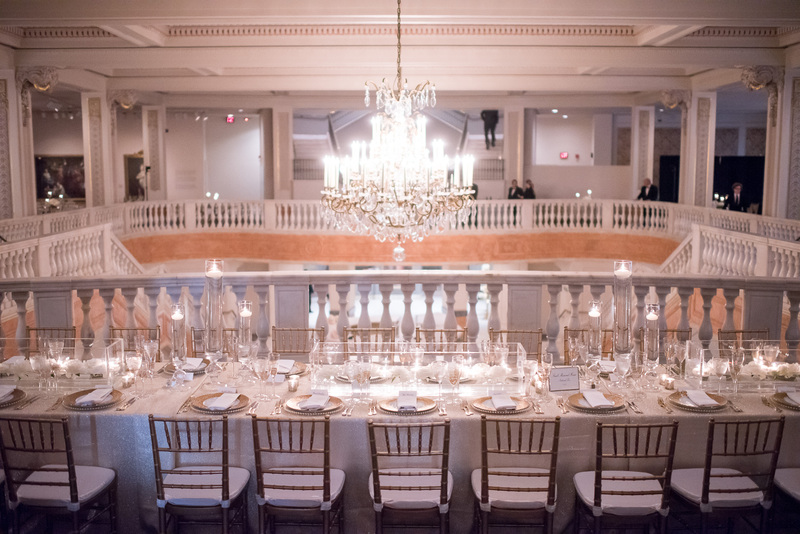 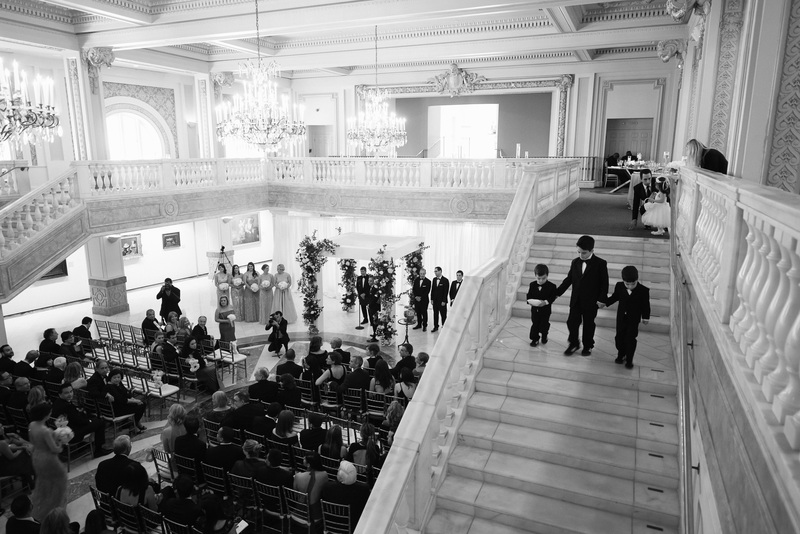 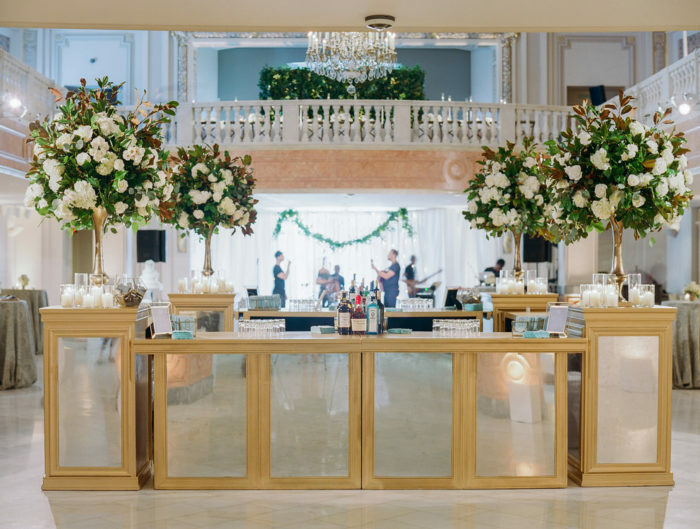 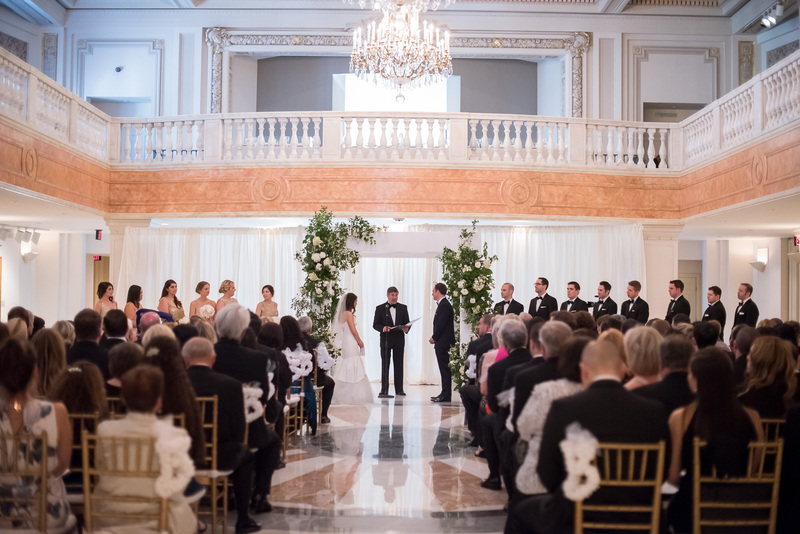 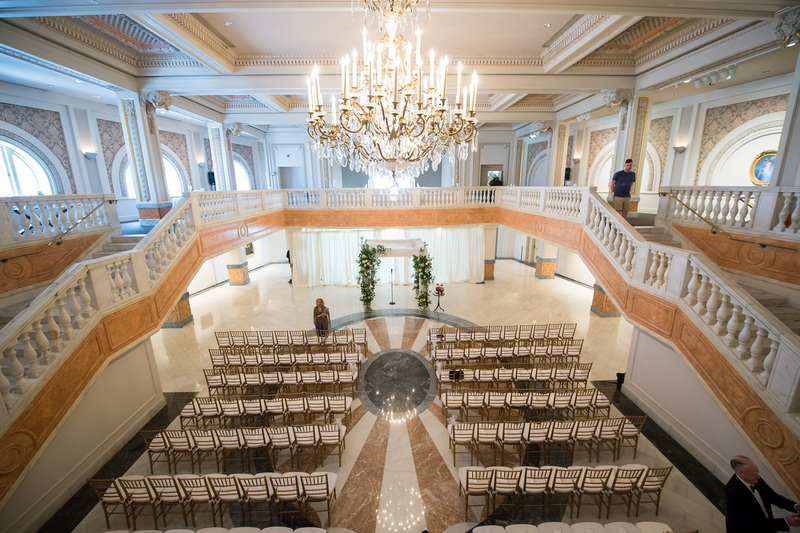 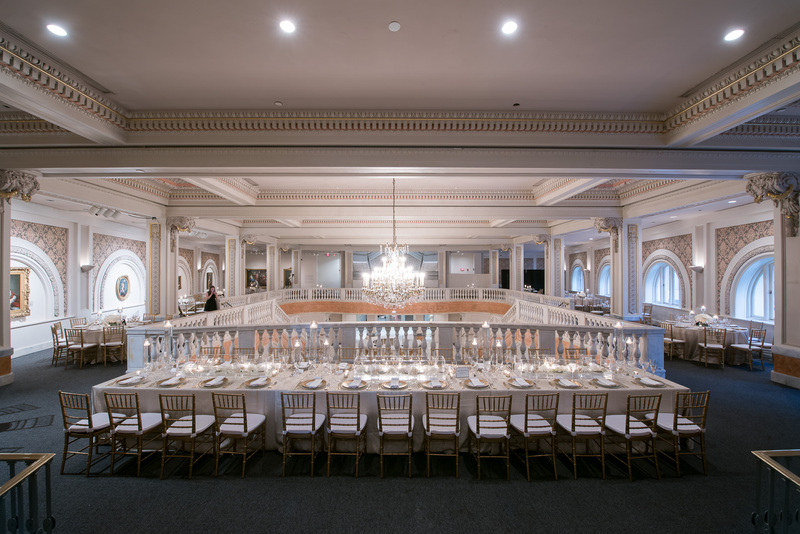 Playing off of the jaw dropping setting at the Women in the Arts Museum, Brenda and Ben planned an elegant ceremony and reception that was not only personal but over the top glamorous! 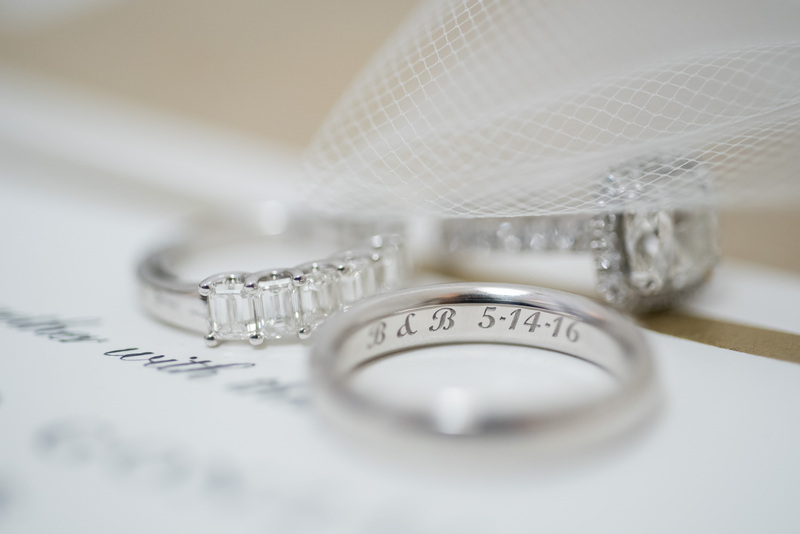 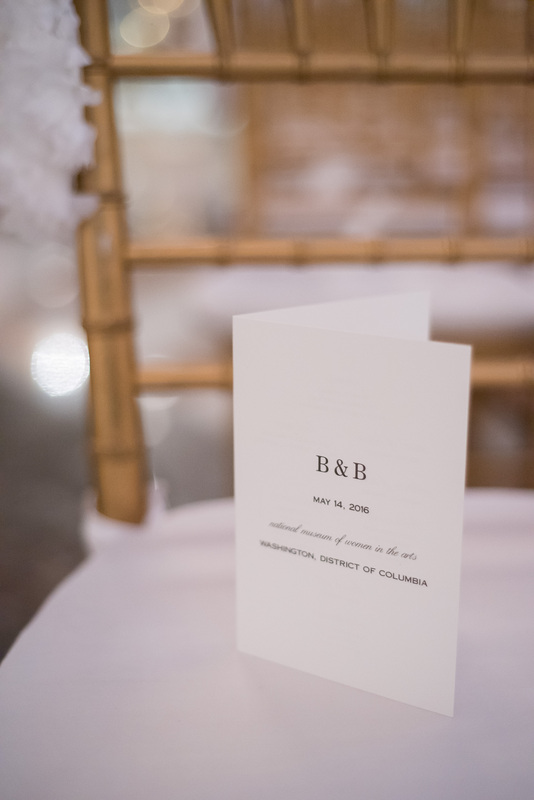 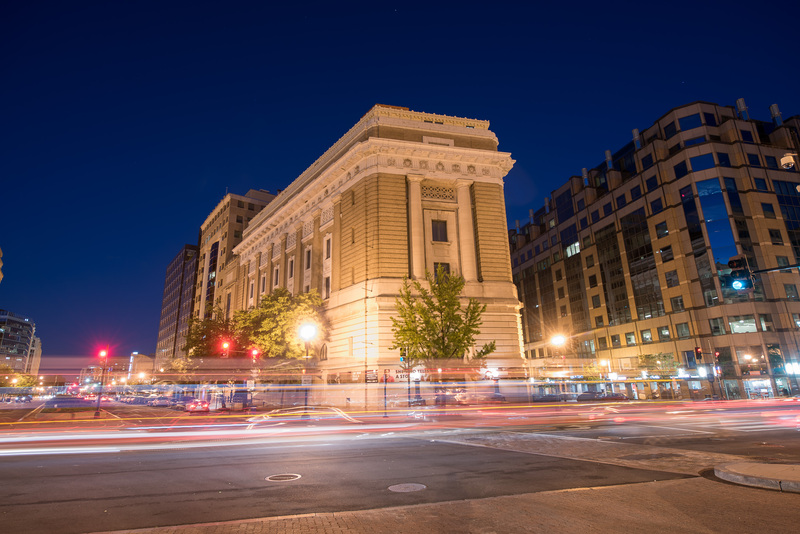 Often we hear that couples have difficulty finding a DC wedding officiant that they connect to personally, so we wanted to share how Brenda and Ben asked their former Law Professor to preside over their nuptials tying back to their American University Law school days! 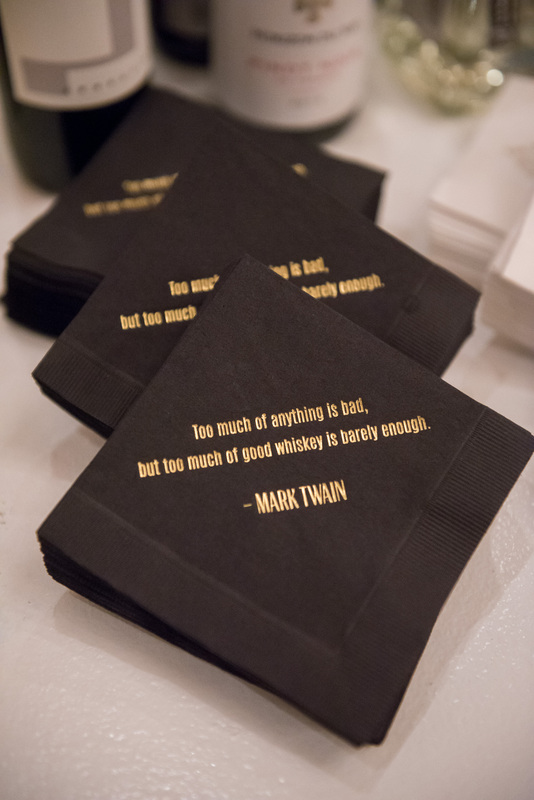 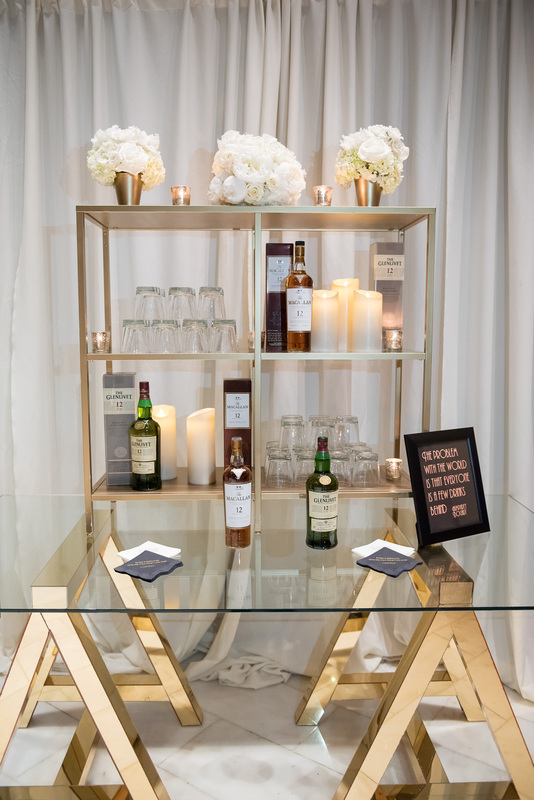 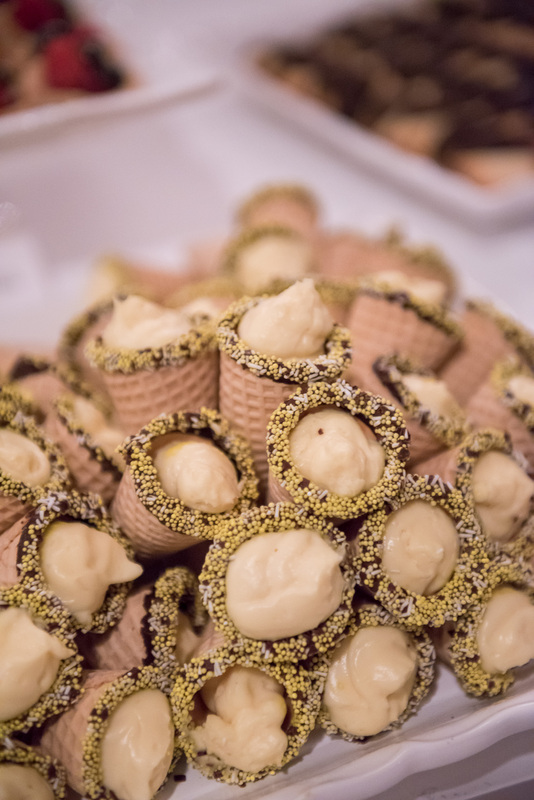 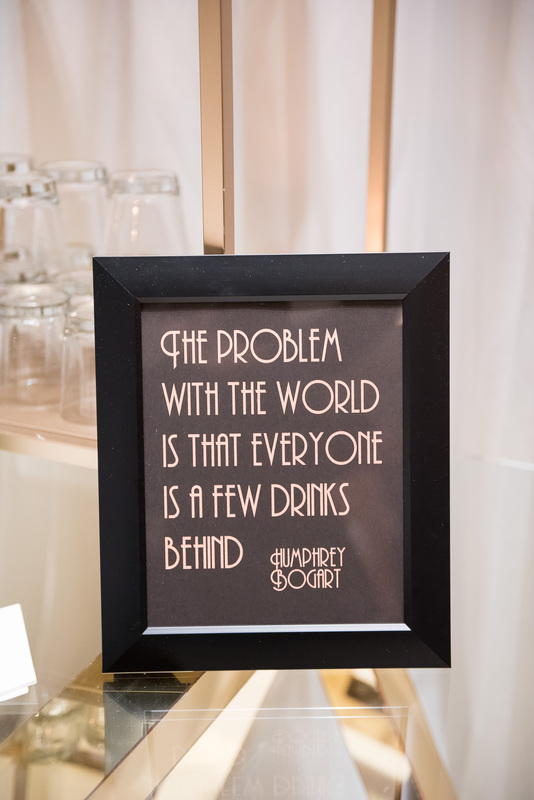 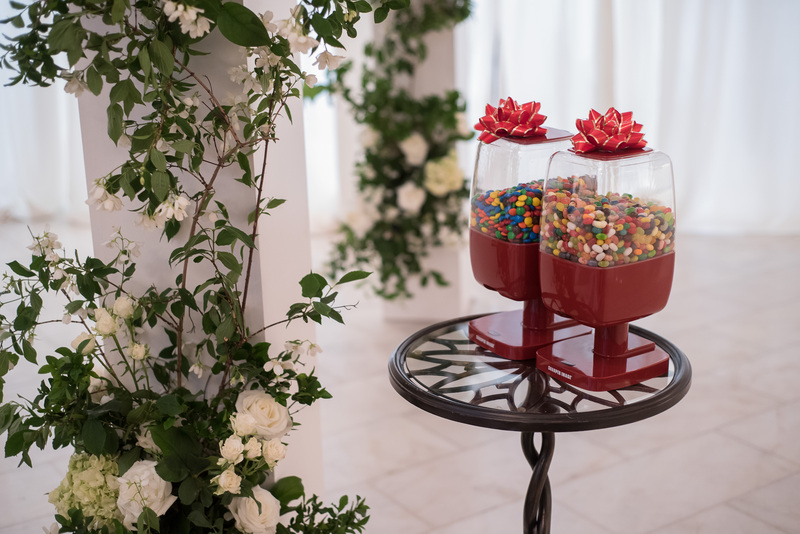 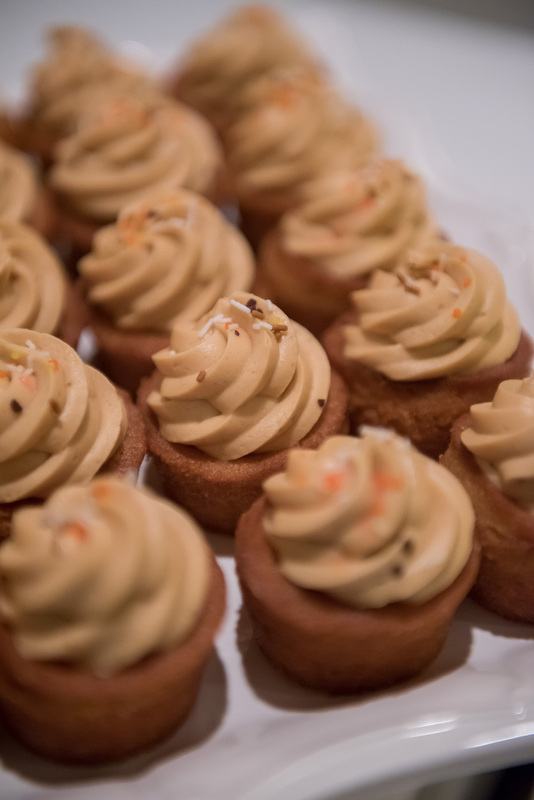 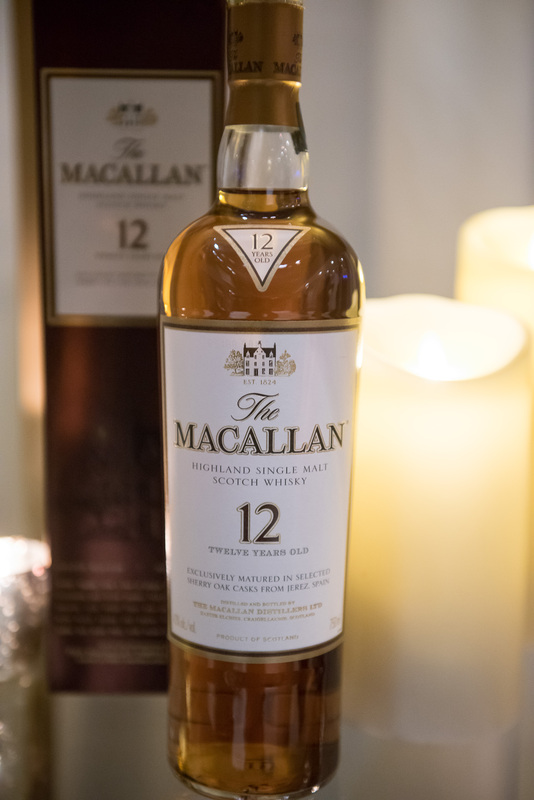 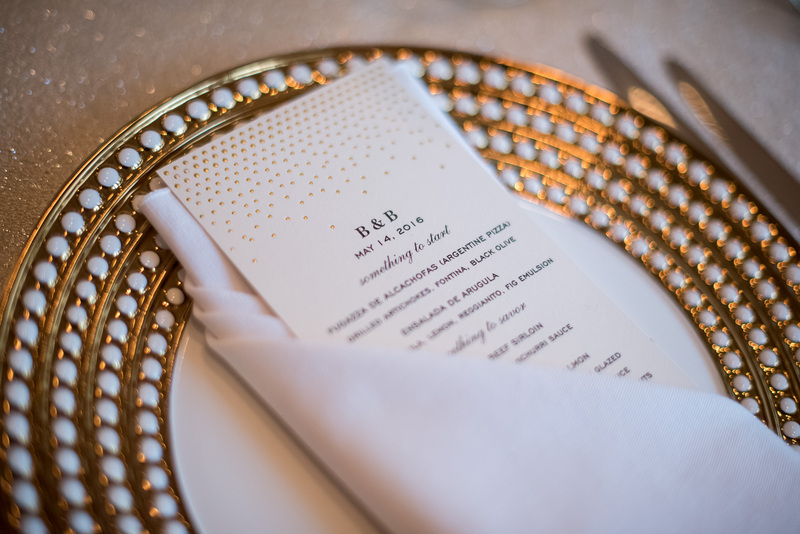 For the reception, guests dined on cuisine with playful twists on traditional Argentinian dishes for the brides family roots, followed by a surprise Whiskey Bar for the groom as a gift from his wife. 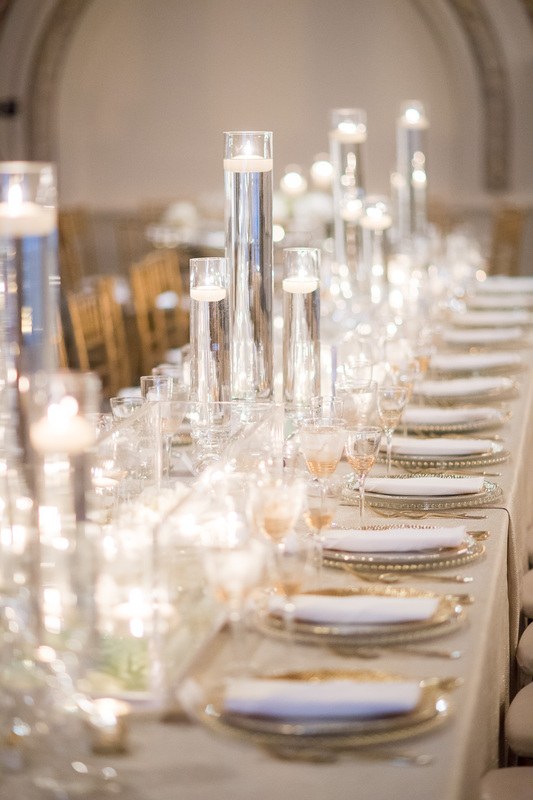 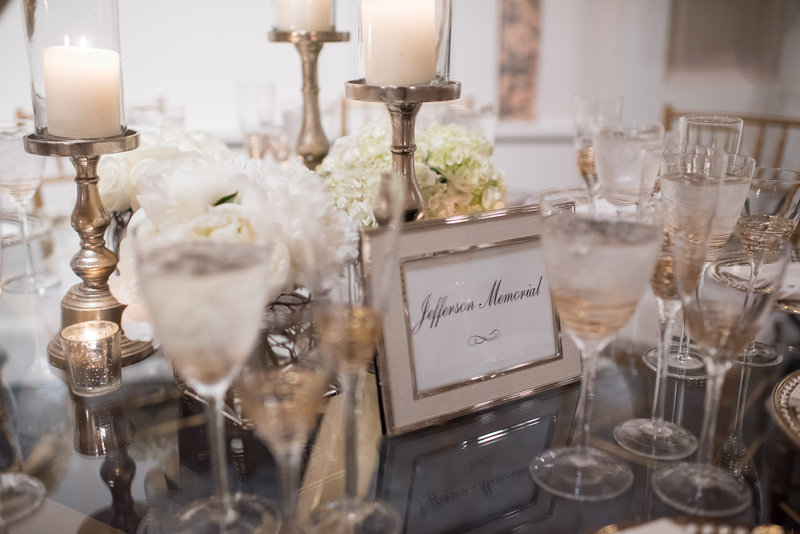 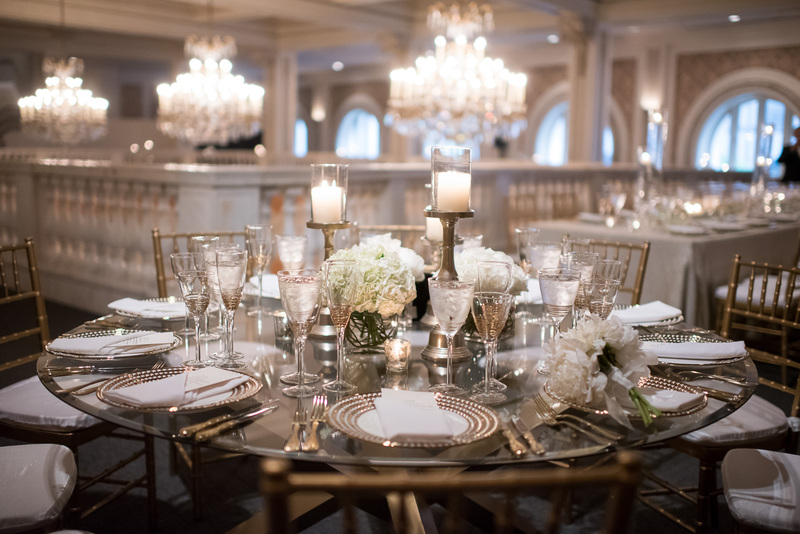 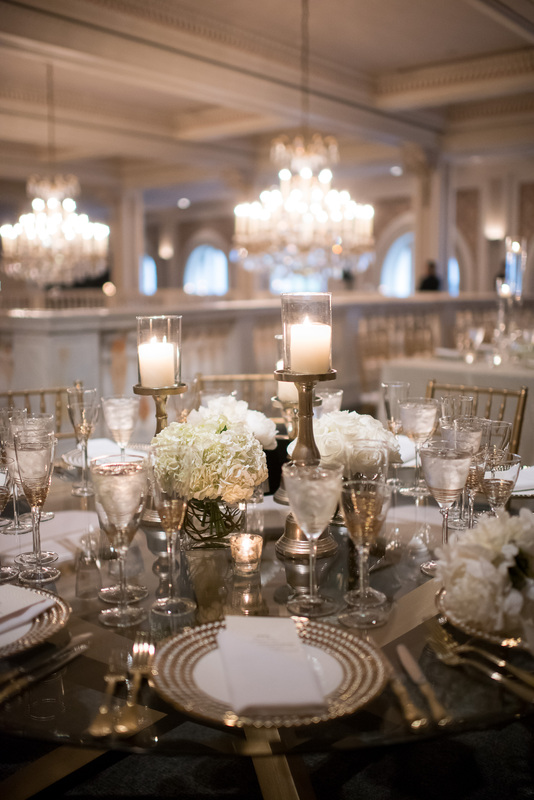 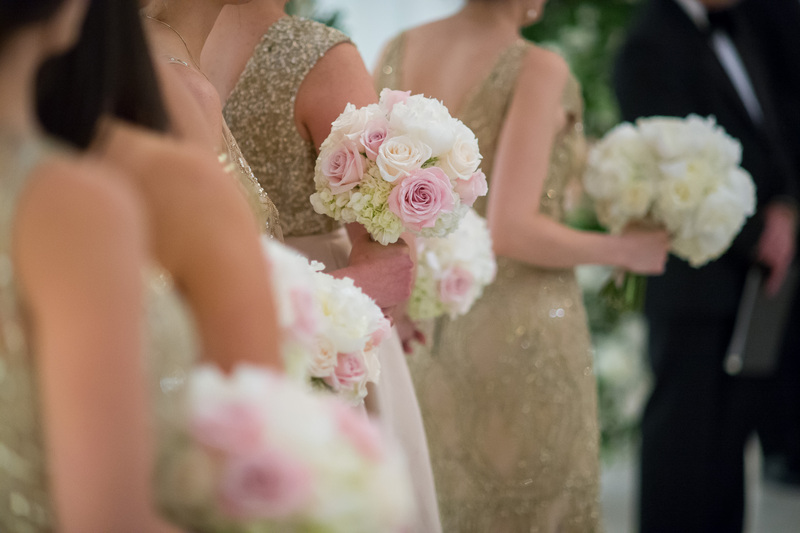 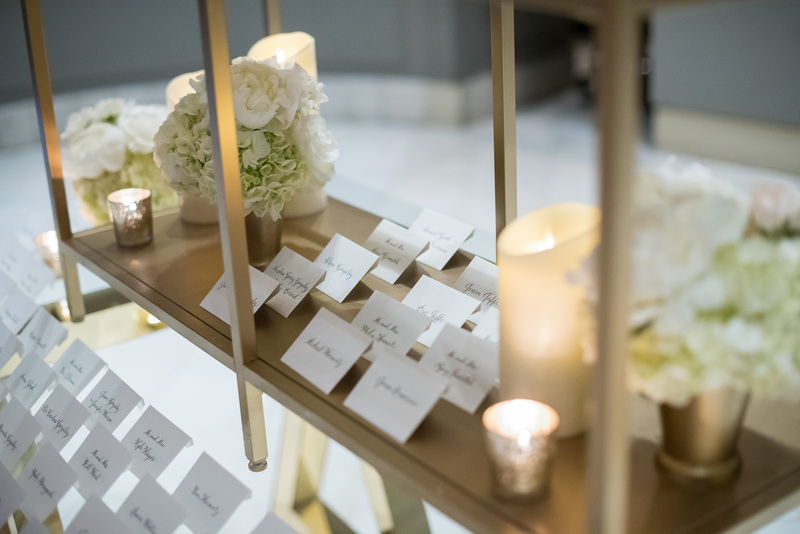 We absolutely live for the flashes of gold and mixed metals throughout the entire reception, from the unique metal tables from Edge Floral Designers to the various base plates twinkling against the candle light from DC Rentals. 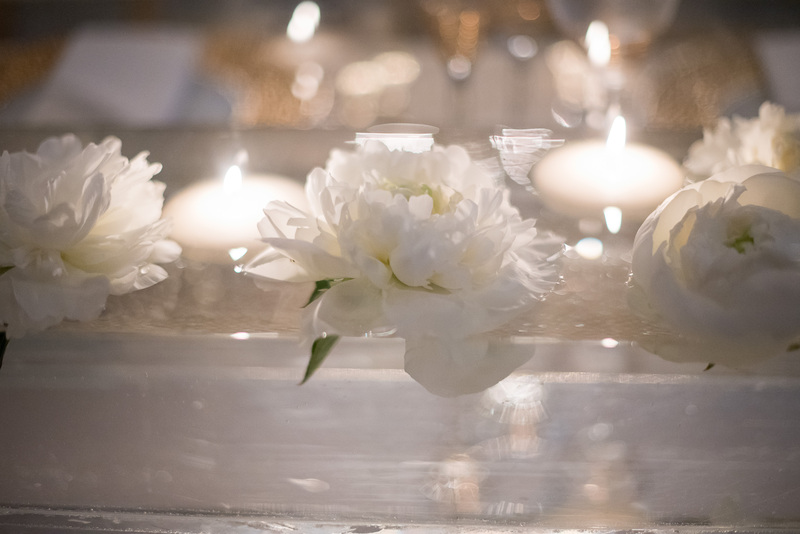 Thank you to Eli Turner Studios for sharing their stunning luxury wedding with us today and best wishes to the newlyweds! 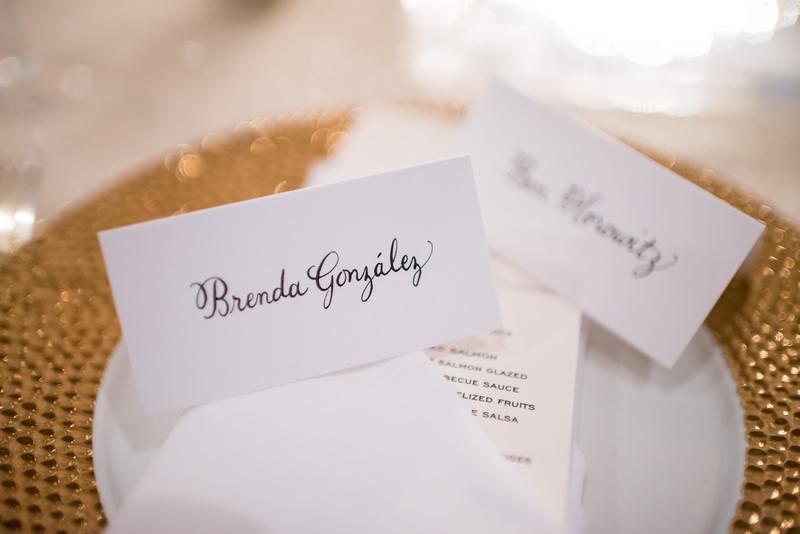 Congratulations to Brenda + Ben! 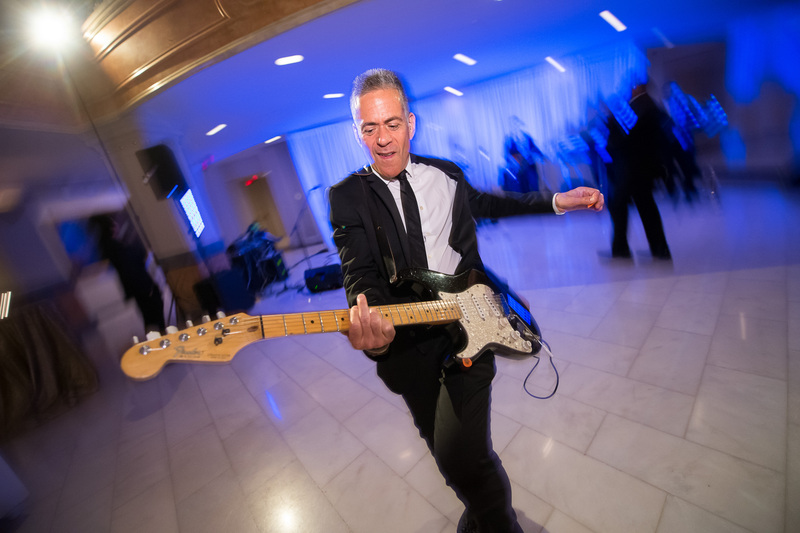 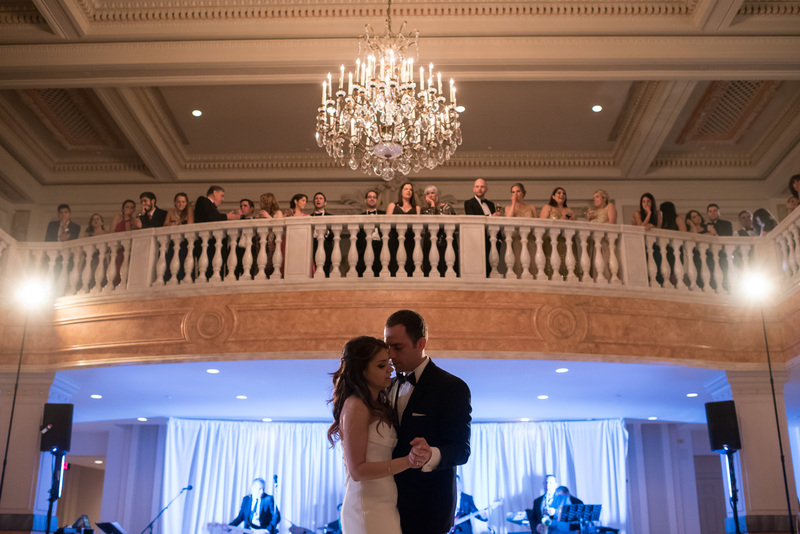 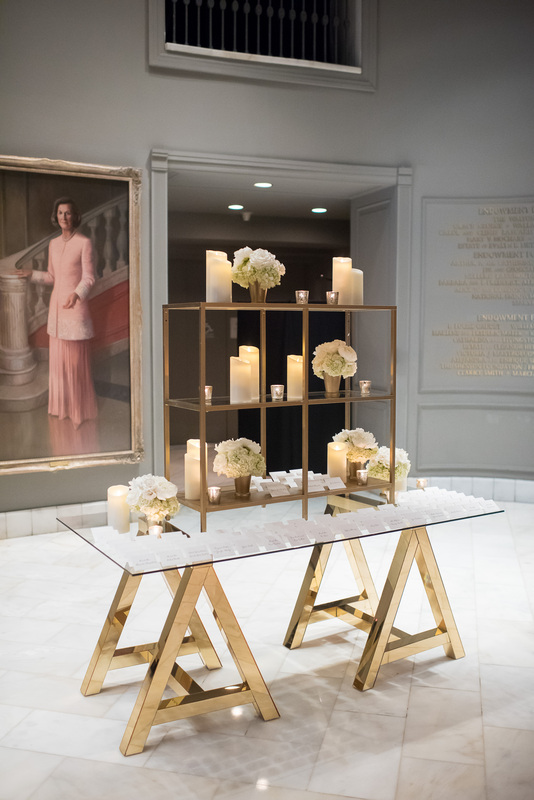 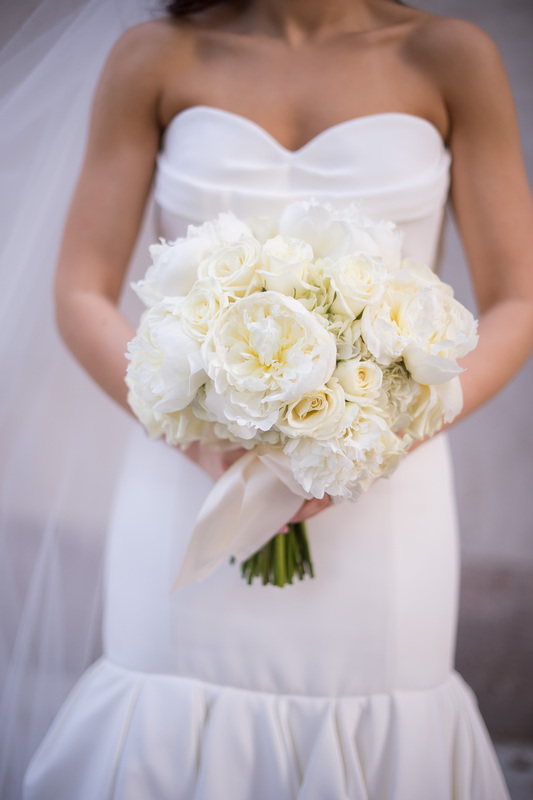 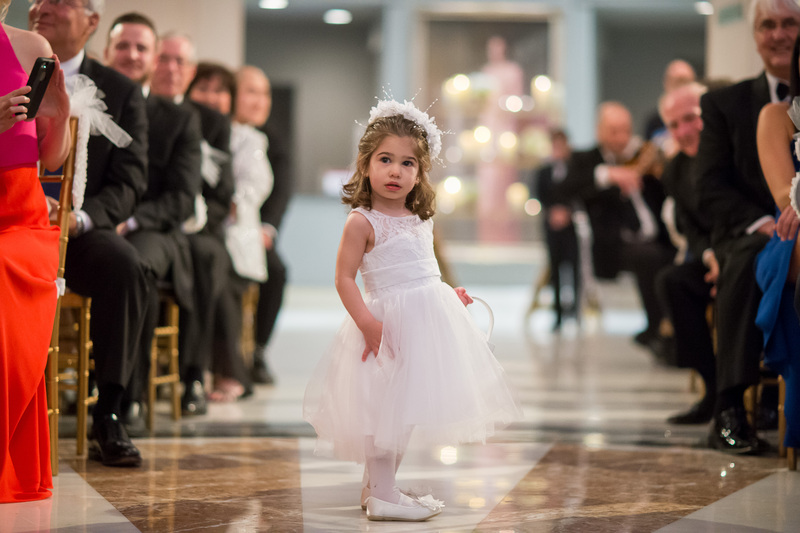 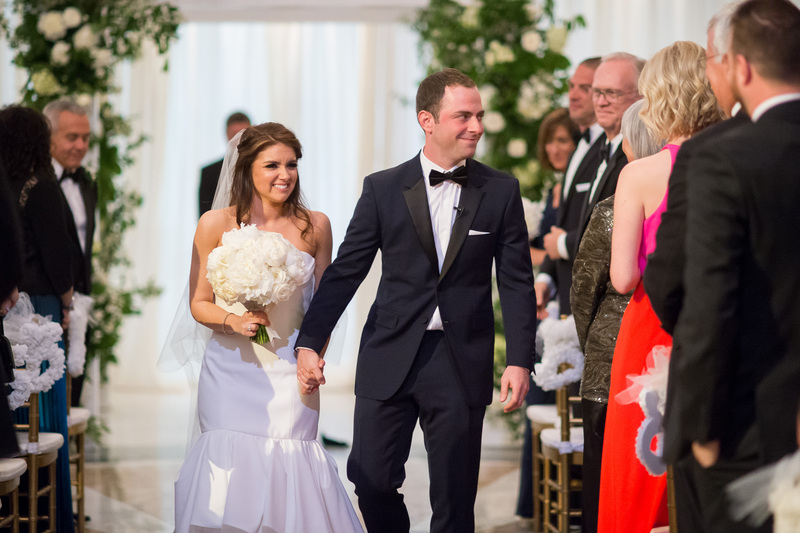 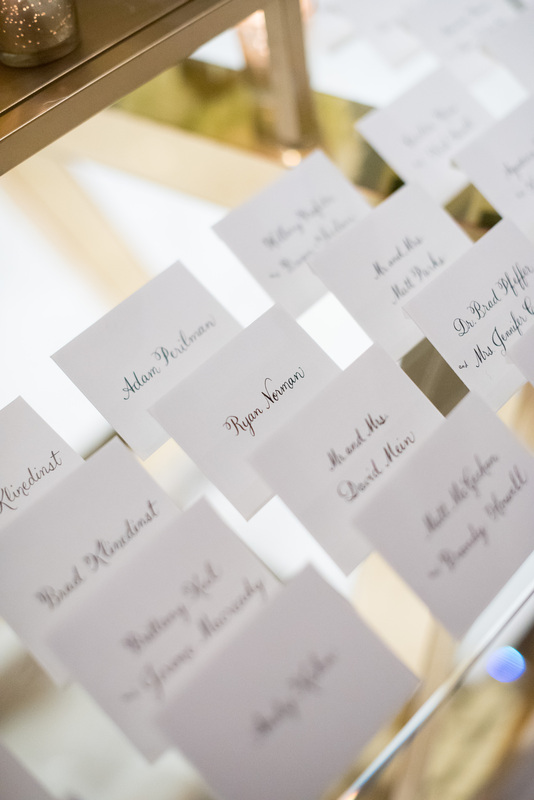 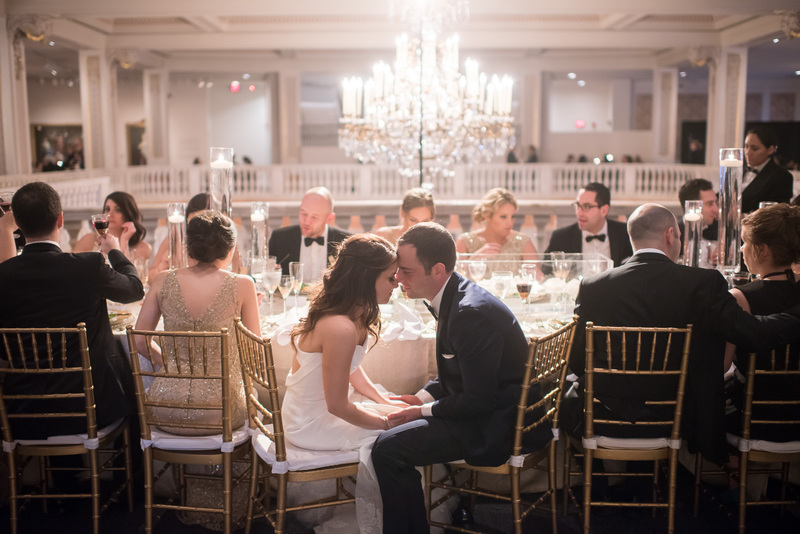 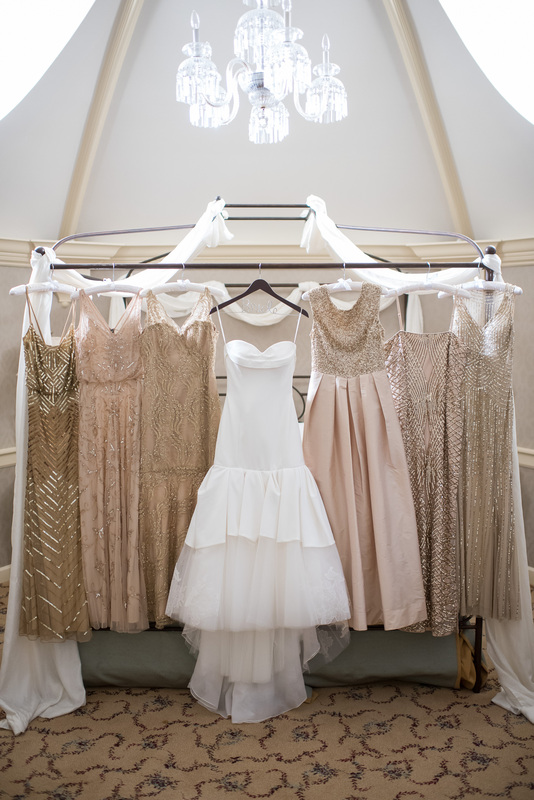 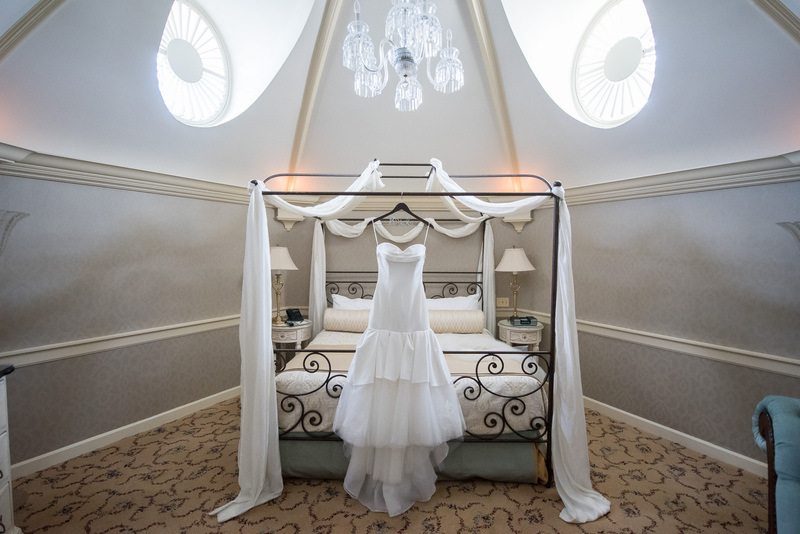 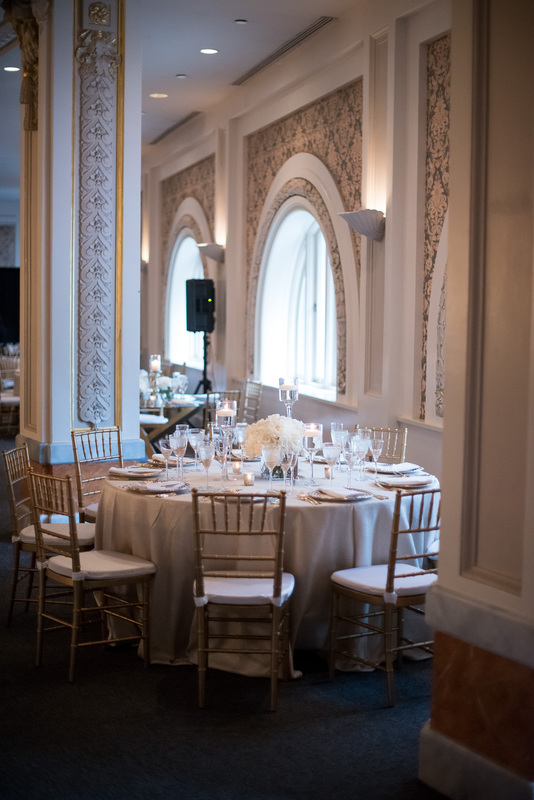 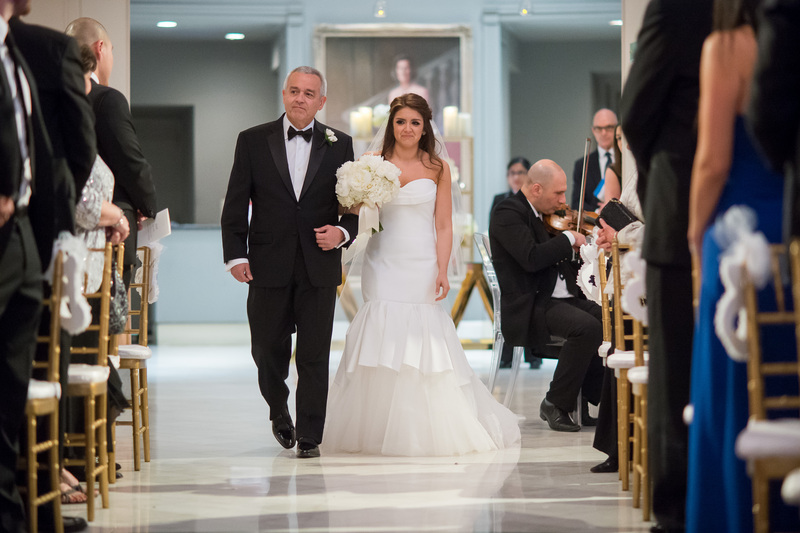 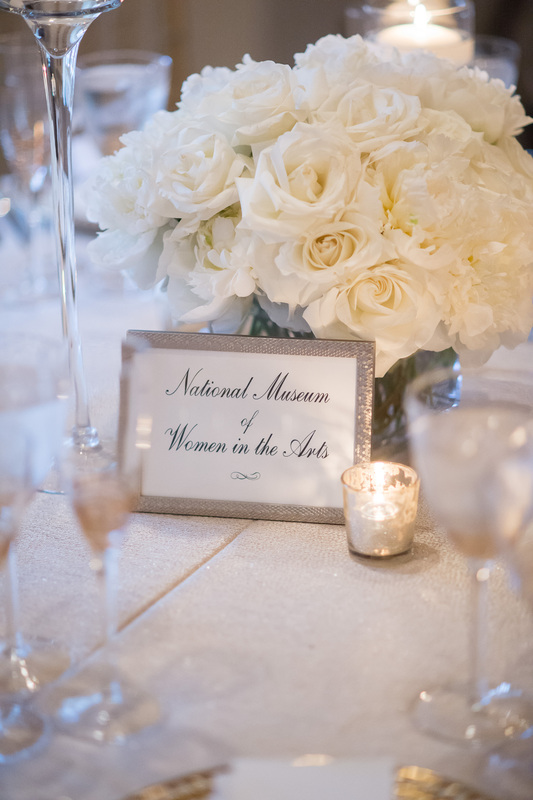 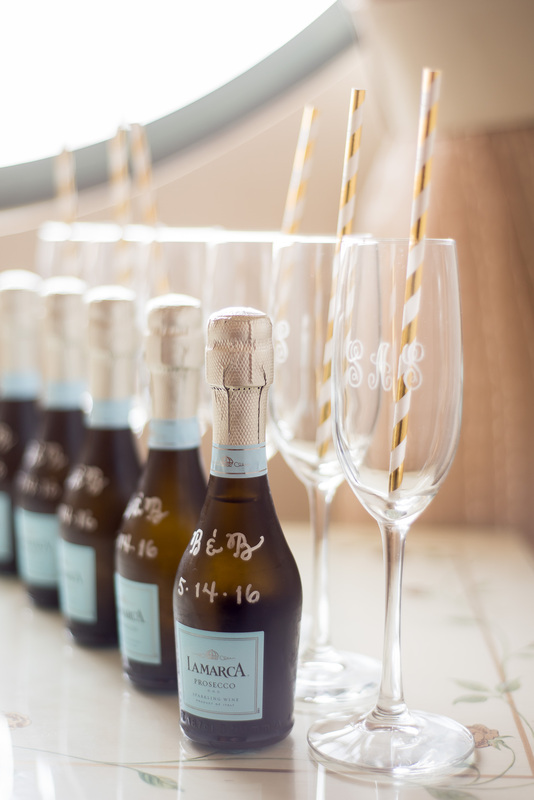 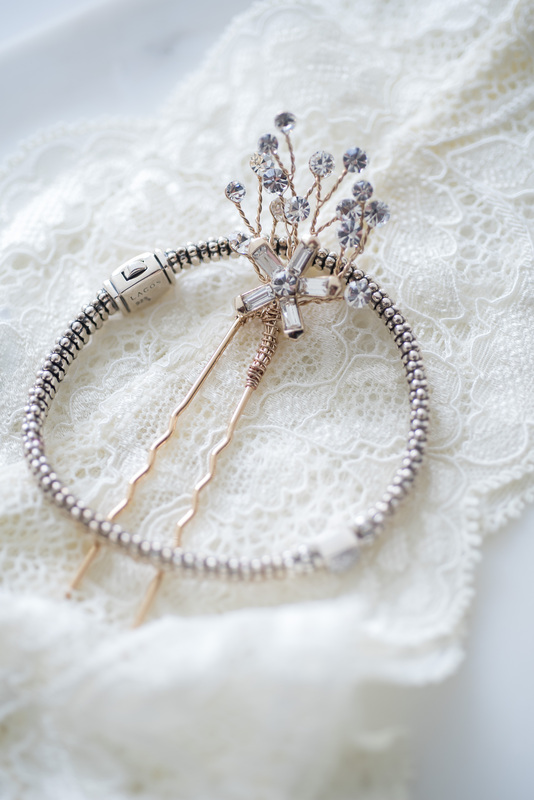 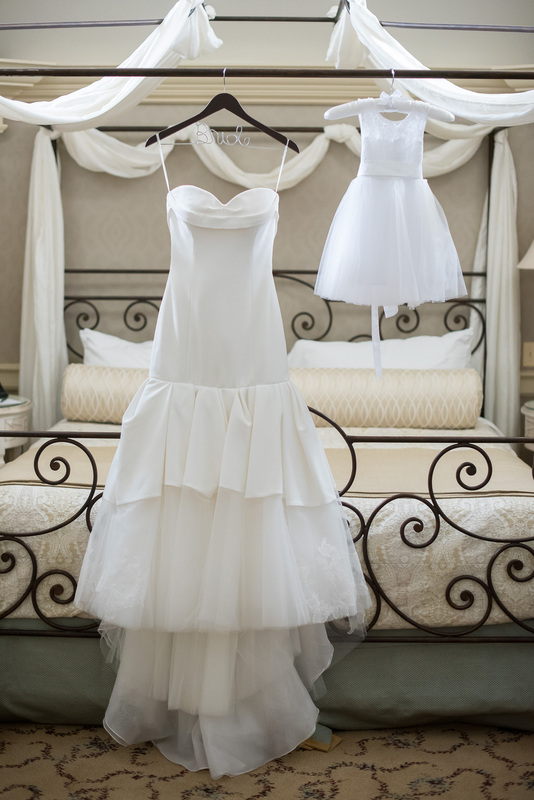 Thank you for sharing your Glam all white DC museum wedding with us! 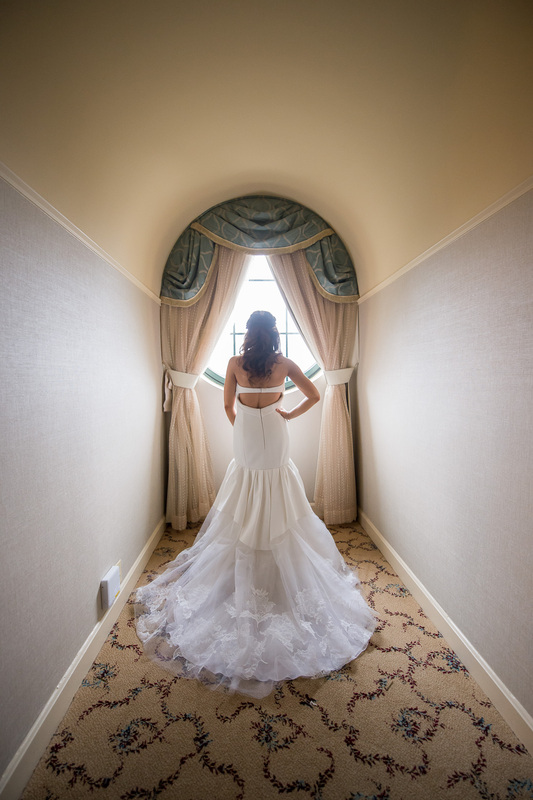 Truly gorgeous! 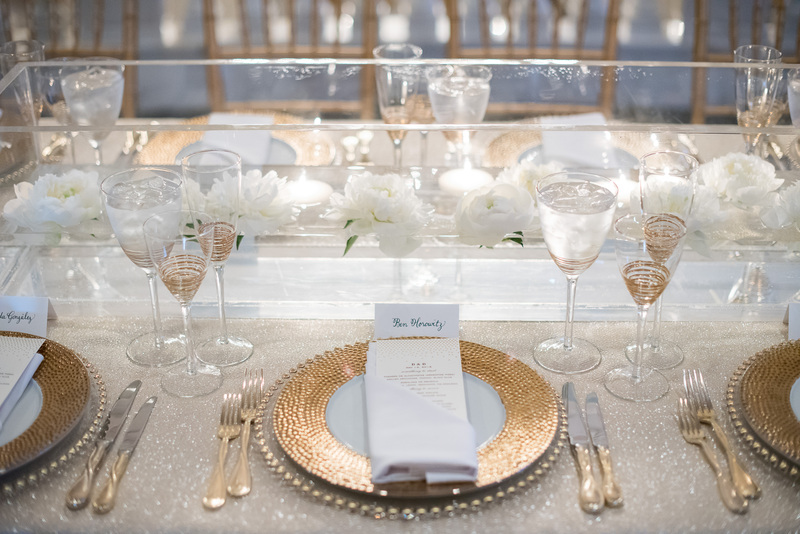 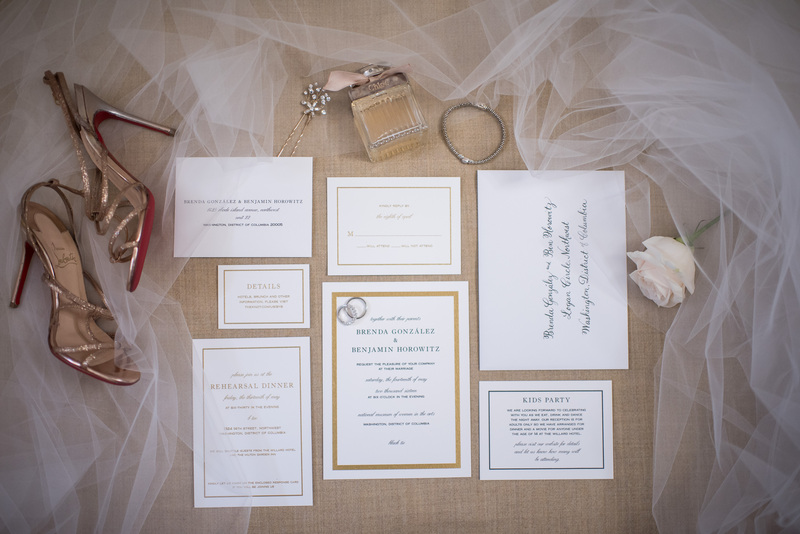 The gold accents with the clean white theme is always a beautiful choice. 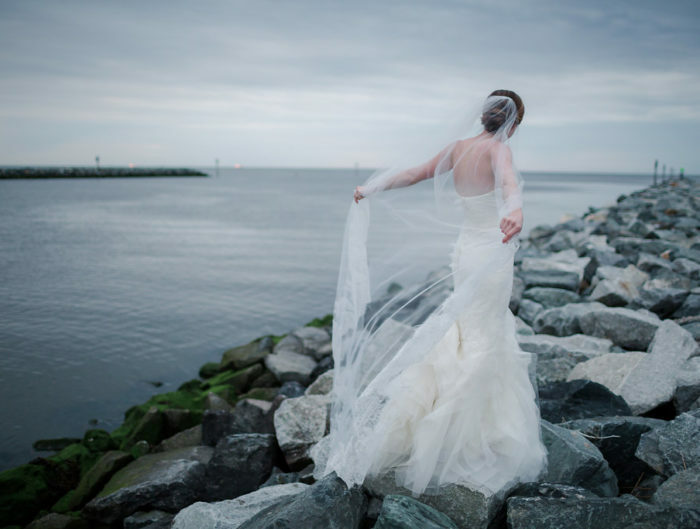 Amazing photography!